On the most depressing day of a long winter here in Asturias, Spain, where the sun has scarcely shown for weeks and the rain has turned to a mix of snow and sleet with winds howling, I was suddenly buoyed by a positive thought. It has shifted my mood completely. What is the occasion for this bright spot in the midst of gloom? Certainly not most of the news I read about things in the US, the UK, Spain, and the world in general. I’ve been witnessing what has seemed to me to be the final fracturing of all systems in the world and the degradation of this planet, which is our only home. I’ve just been trying to hold on until I make my final exit from this planet. No, there is not a plethora of good news out there, so I want to share something with you that has shifted my mood in a positive direction. · The turnout for this midterm election was the highest in over 100 years. The people of the US haven’t given up on their country yet. 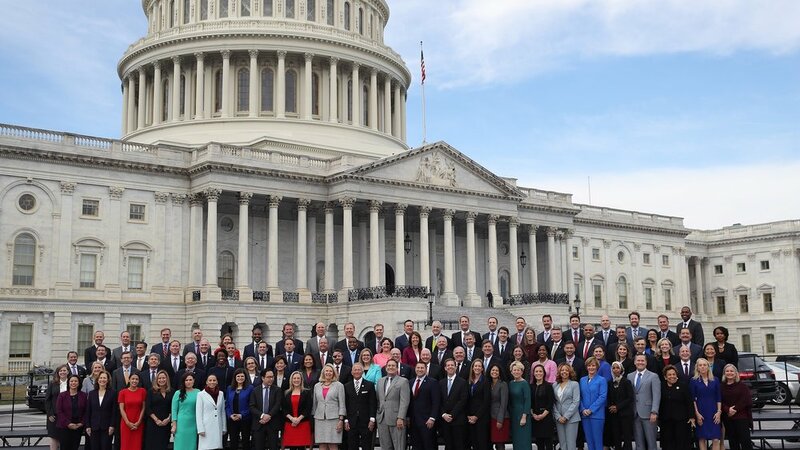 · This will be the most diverse Congress in the history of the US. There are more women, people of color, and more ethnic diversity than ever before. We elected the first female Muslim representative and the first female Native American representatives. In short, this Congress will more nearly represent the diversity of the US population than ever before. · This is the youngest Congress in recent memory, with the average age dropping by a whopping 10 years below the previous Congress. What we are witnessing is a generational shift in the leadership of the USA. It is about time that the next generation steps up to try to solve our most pressing problems, since they will be around long after those of my generation are gone. The problems they face are nearly overwhelming, but they seem ready to take them on. Perhaps they will not be so easily bought off by the 1%, who control more than 90% of the wealth of the world. Perhaps their eyes will be on their fellow citizens instead of money and power. Perhaps they will want to leave a habitable planet for their children to live on. Perhaps they will have some new ideas that will refresh the political debates that have been divisive and polarized for the past decade or more. Or, perhaps this is just a momentary lifting of the general mood of gloom, but I’m wanting to make the most of it. So, hurrah for the freshman class in Washington, DC. We’re expecting great things from you!